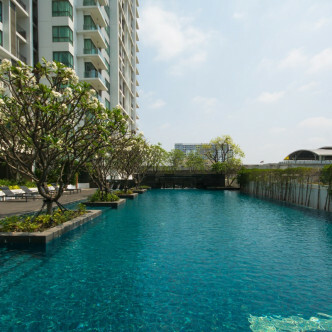 With 487 spacious units, The Room Sukhumvit 62 features a size and shape that sets it apart from most other condominiums in this part of Bangkok. 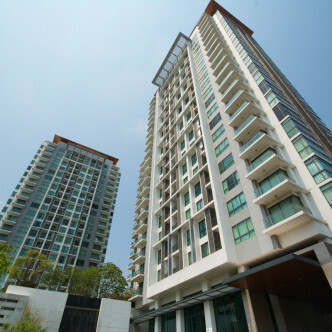 It rises to the sky to an impressive height to accommodate the 23 floors and each of the units here is fully furnished, while the building is protected by CCTV. 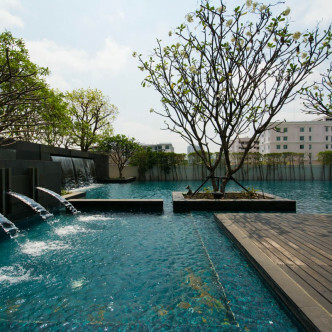 The shared facilities here perfectly match the style of the building and include an impressive outdoor swimming pool and fitness centre. 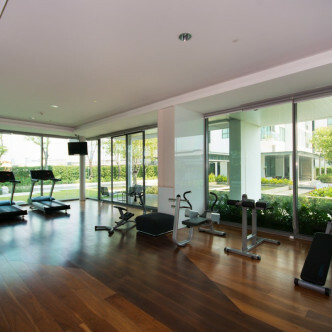 Bookworms will also love making use of the fully stocked library, while the large fitness centre faces a gorgeous garden. 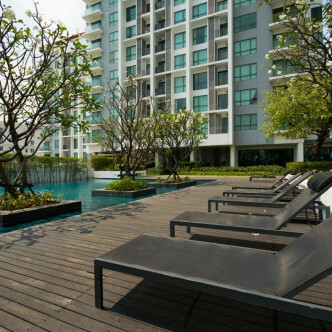 The location of The Room Sukhumvit 62 is one of the latest up and coming neighbourhoods in Bangkok. 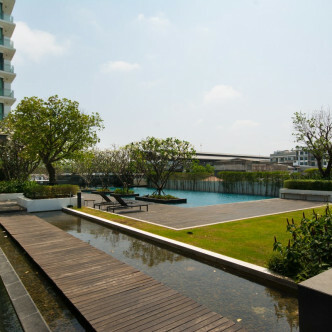 There are lots of new cafes, bars and restaurants for residents to check out as well as soon very desirable international schools, while Punnawithi BTS station is located conveniently close to the building.